Place around the waist of the clinician and use to apply lateral traction easily and in a controlled manner. 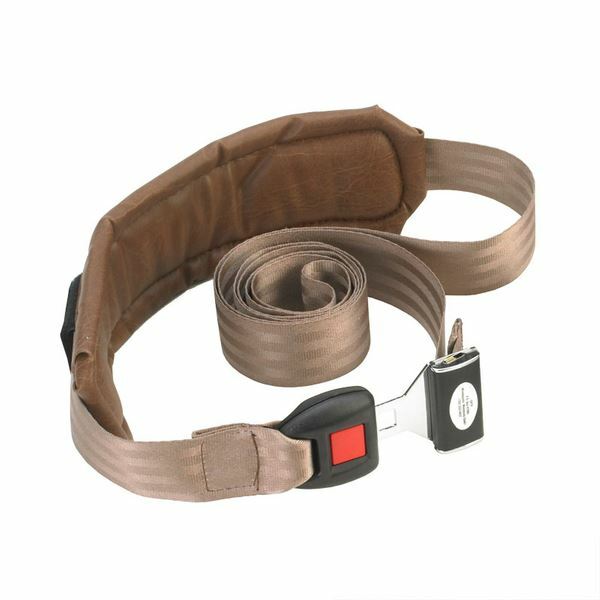 Strap adjusts easily for length with one hand and releases with the push of a button. Durable woven-nylon strap features a removable flat vinyl-covered foam pad which also makes it suitable for pelvic stabilization of the patient. 8 feet in length, pad included.